Ever wondered what would happen, when a psychologist, a journalist and an author come together – and taking a giant leap of imagination – imagine all of the three is one person!!! – the outcome is one of the most remarkable piece of work in Indian literary in the field of psychological thriller and split-personality disorder, in the form of a book “Silent Whispers”. Then the imaginative mind starts wondering what the world would have been had there been no partition – no Indo-Pak wars, no Kargil, no Kashmir dispute. The horrors of the Partition inflicted some of the biggest traumas on the psyche of the Indian subcontinent. Hasn't every Indian, every Pakistani and Bangladeshi - wondered at some point of time: Was Partition really necessary? As someone said - “The role of a writer is not to say what we all can say, but what we are unable to say”. Unfurling the vivid details of a scenario when India rejects the partition and how the subcontinent would have been 50 years after independence, comes the book – “A twist in destiny”. 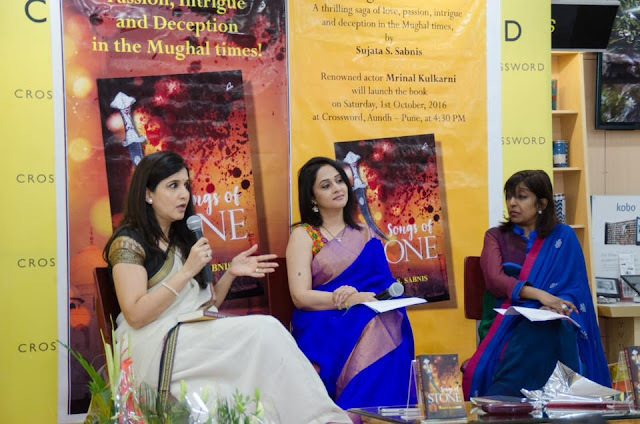 Not to be constrained by sticking to a single genre, the creative mind imagines an intriguing story of love, passion and deception, set in the bygone era of Mughal Times – comes the latest book “Songs of Stone”. These engrossing novels, prompted us to understand the life of the author. 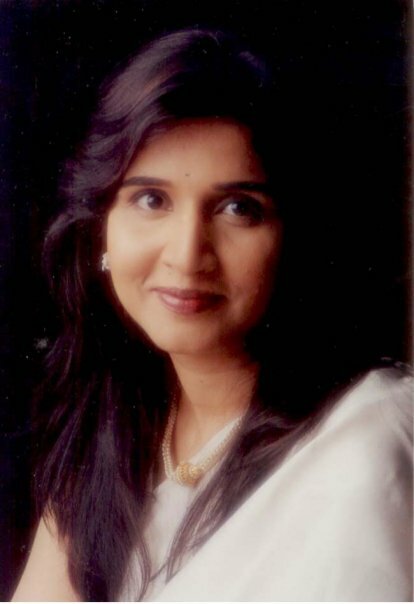 We recently got in a conversation with Pune based Sujata S. Sabnis, a passionate writer bestowed with the beauty of words. She has just published her third novel, a fantasy love saga set in the times of the Mughals. Her two earlier published novels are “Silent Whispers’ and ‘A twist in Destiny’. She has also written a screenplay titled "Kutch" which is currently under pre-production and which has had the rare honour of being selected as the first Indian entry to the prestigious Berlin Co-production market. She has also done an English translation of the book “Dollar Bahu” by Sudha Murthy. Prior to writing novels she had been a journalist with the Indian Express and Pune MidDay. 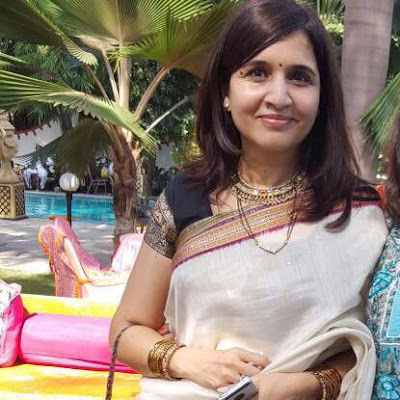 She lives in Pune with her husband, Satish, and children, Rohit and Siya. Can you tell something about your background, early life, education etc? I was born and brought up in Delhi in family where education and values of human relationship are paramount, which I happen to think go a long way to keep you grounded in life. After graduating with a degree in Psychology, I did a PG course in journalism from Indian Institute of Mass Communication (IIMC). After marriage, I came to Pune and started working as journalist in Indian Express. How you got inducted into writing or authoring books or made a transition from journalism to writing books? I have always loved reading but never thought I would end up writing novels myself. But while writing feature articles for IE, I discovered I was good at thriller stories, I was able to make them gripping and pacy. Still, writing 1000 words article was way different from a full novel right? And then one day, I thought of this very cool story plot - a pretty chilling, gripping psychological murder mystery. But would I be able to write it out well? It was a scary thought indeed. And yet that is the thing with these story ideas, once they come to you, they start overpowering you, egging you on, making you restive till you get down and do something about them. So one fine day, with tons of self-doubts, I took the name of Ganesha and took the plunge. And so slowly, bit by bit, over the period of one year, my first novel "Silent whispers" got written. Regarding your three novels - Silent Whispers, A twist in Destiny and songs of stone - what's the inspiration behind this? Difficult to say as all three belong to different genres. Silent whispers is a crackling psychological thriller. 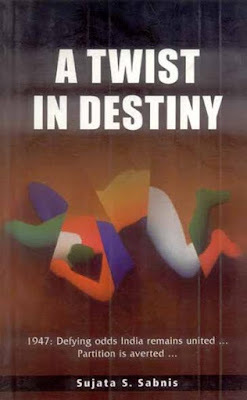 Second novel "A twist in destiny" is a political thriller which imagines that in 1947, Indo-Pak partition never happened. 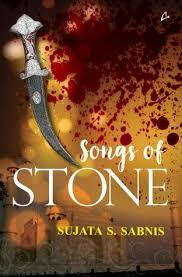 My latest "Songs of Stone" is a beautiful love story set in Mughal times. I think the only thing I can say is that my area of interests spans wide and I read prolifically on a spectrum of issues. So something in my readings gets seeded in my mind and one day suddenly bursts forth as a story plot. Writing your first novel is difficult yes, but also heady because for the first time you are creating a world of your own imagination - and a world in which your reader will live while he is reading your novel. That is powerful stuff, a feeling like no other. A big part of the difficulty though is teaching yourself the discipline needed to write a novel - if you wait for inspiration to strike you may never finish the book. I adopted a rule that I will write 1000 words a day, five days a week, even if I later scrap most of it. I also learned how to cope with genuine writers' block, how not to panic in such times and have faith in the creative process that at some point words will start flowing again. As for publishing - nothing else works better for the first timers than the childhood ditty "if at first you don't succeed, try and try again". Yes it is difficult to cope with the first rejection, then next, then another. But if you have faith in your work, continue sending MS to publishers the way I did. And then finally the golden day when a letter from publisher came accepting my MS, hallelujah and oh-thank -the-Lord. You also write scripts for movies and can you please share some background on the Kutch and how was the feeling about getting this movie getting international acclaims of being the first entry from India to be selected in the Berlin co-production market. Kutch is the only screenplay I have written. It is a beautiful powerful story and I will never forget the moment when I first thought of it. For the first ten minutes I just sat there and cried, so moved was I by the story! And after that terribly scared - will I be able to do justice to it? I decided to write a screenplay with it as I thought it depicts itself wonderfully in visual form. And in order to write a screenplay I had to learn how to write one as there is a difference in writing novels and writing screenplays. Screenplays have a definite form, a flow and one has to understand the craft of it. It took a lot of effort but the end result was satisfying. What can I say about the moment when the screenplay was chosen as India's first entry to Berlinale co-production market, part of Berlin film festival? Such immense pride! 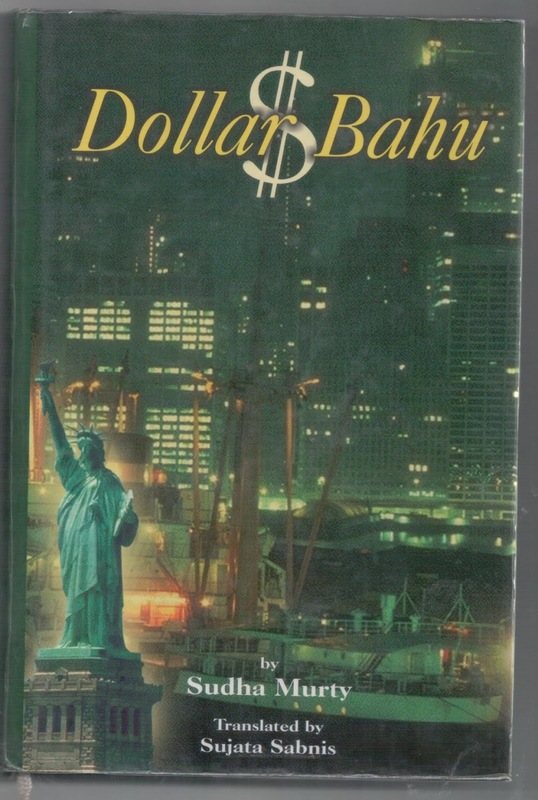 You have also done translation of Sudha Murthy's famous book "Dollar Bahu" how did you get involved in this and difficult it was to work on this, because many a times, during translation the original essence gets lost sometimes. Ameya publishers approached me to translate it from Hindi to English for an international edition. 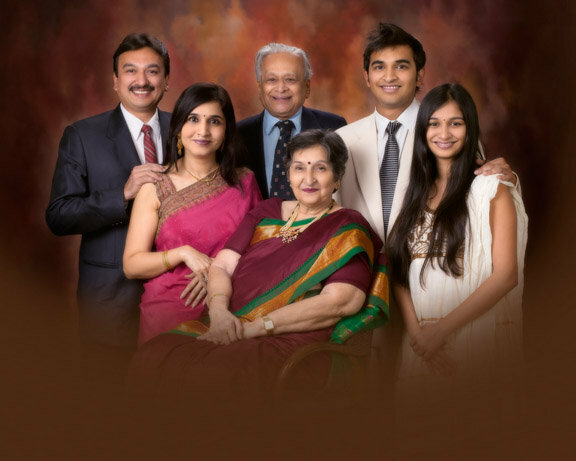 I was happy to do so as I am a big fan of the Murthy family. As for the difficulty of translation, it is not that difficult - as long as you ensure that your perspective doesn't color the narrative in any way - that one gets to see the author's mind in totality. In this case it is the sheer simplicity of Sudha Murthy's writing which is so charming - that had to come through emphatically. I am happy to share that Sudha Murthy was very happy with the translation as was the publisher. Writing is usually very arduous and time intensive activity - how do you manage a balance between your family, personal and life as an author? Writing is indeed very time consuming. It took me at least a year to write a novel though when it came to my latest novel Songs of Stone, it took 2 years - one year of research and another of writing. As I said, to sustain throughout this period you need total self-discipline and even firm resolve. You have to set a daily goal for yourself - so many words everyday. And a certain period should be kept aside everyday to write - your writing time when your family or personal stuff is not allowed to intrude. Of course following self imposed rules is easier said than done and do get broken but that's okay - it still is essential to have them. And of course I am blessed to have a supportive family and friends who do understand, accept and adjust to this passion of mine. A huge hurray for that. Everyone learns something from his/her experience in life, is there something which you may want to share with us or to other budding authors, who can take inspiration from you. Simple - you have a beautiful story inside you? Believe in it, make up your mind, pick up the challenge, and run like a maniac with it. Ignore the naysayers, ignore the people who laugh, ignore all sanity. Go mad and write out that which doesn't let you sleep at night. Who knows you just might end up writing the next bestseller, the next Wolf Hall, the next Game of thrones. And if not that you will at least, just for a moment, feel like God as you create a world all your own. 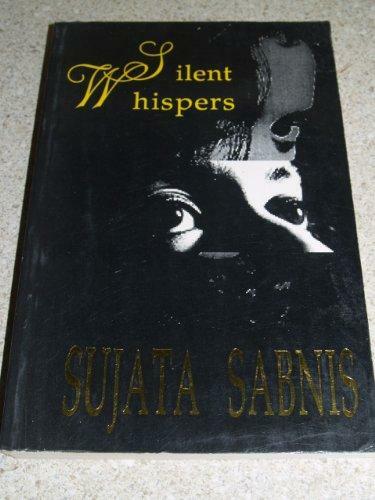 Silent Whispers is one of the most remarkable piece of work in Indian literary in the field of psychological thriller and split-personality disorder, in the form of a book “Silent Whispers”. She is so white, thinks Shahjahan as he reaches Mumtaz. With trembling hands, he pulls her into his arms. A fear like no other has gripped his insides. With an effort, she raises her hand to his face, lovingly fondling his face, her sobs shaking her frail body. It’s her soft fingers, placed on his mouth, which dry up his words. The fingers and the look in her eyes. Such desperation, such despair. Never again will he wonder about the dark night of the soul. He sees it there, that day, in her eyes. He feels it in himself. Softly, softly she is saying something. He knows she is saying something because through the haze of his tears he can see her lips move. He wipes them and leans closer. She is reciting a Persian couplet. “Today is the time of departure. It is the time to accept separation and embrace pain. For some time I was fascinated by the beauty of my beloved. He sobs then, and can’t stop. His world can’t be disintegrating this way. The unthinkable can’t happen. You can read here lots of cool articles on the thematic of education and writing. I am a novice author and I really like your books. I work as a private tutor and keep my blog CustomEssayMeister. There you can find the best essay writing tips for students.